Cavalry FC made him the first player taken at the CPL-U Sports Draft. The players will selected will be invited to the CanPL camps. Players who make their respective teams can either sign developmental contracts, which will see them keep their university eligibility, or a professional contract. Bitar was the 2017 USports rookie of the year, and scored 13 regular-season goals for Carleton. He’s a product of the Ottawa Fury developmental program. “In Bitar we have an exciting, pacy and skilled forward with a good goal scoring record as he’s shown with Carleton University,” said Cavalry FC coach Tommy Wheeldon Jr. in a release. 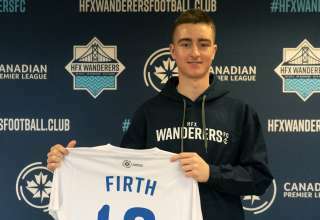 Valour FC went for a veteran of the Canadian soccer program with its first pick. York University’s Dylan Carreiro, who left the Toronto FC Academy to pursue his European dream, played a handful of games for Dundee after playing for Queens Park Rangers’ youth side. He’s spent the last couple of seasons in League1 Ontario. 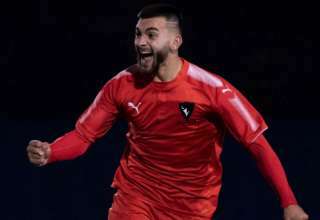 National player of the year Jace Kotsopoulos was selected by Forge FC. He scored 15 times for Guelph this past season and is the all-time leading scorer in school history. If you made a prediction before the draft, you’d have bet that FC Edmonton, owning the seventh, eighth and 21st picks, would probably go with University of Alberta players. You would have been dead on, as coach Jeff Paulus went with 1st Team All-Canadian goalkeeper Connor James, forward Ajeej Sarkaria and defender Noah Cunningham. And, all of those names are familiar to Eddies supporters because all three of them are products of FCE’s Academy. So, basically, the Eddies spent their draft picks selecting players that the club had helped groom in the first place. Coach Jeff Paulus, who had the final pick of the first round, said he would have moved up if he could to make sure he got the players he needed. So it wasn’t a case of simply playing favourites. But he said it’s a bonus to be able to bring in players who, after they get out of school in the spring, can join the team and already know what the coach wants. Like FCE, Pacifc FC stayed close to home, picking three players from the University of British Columbia. 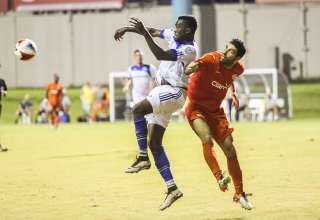 Thomas Gardner, selected in the first round, saw USL action with the former WFC2 program. Cape Breton University and the University of Alberta were the top schools in the draft, with each program having four players selected.